The heros of this book are two young people “sent to the countryside ” during the Cultural Revolution and a high school student Duan Fang back to his village. The only chance to get out of this peasant life is to join the army. But this requires the support of Wu Manling, the party secretary, who, in love with Duan Fang, will give the preference to another candidate. Rejected by Duan Fang, Wu Manling will become insane. Bi Feiyu is twelve years in 1976 at the death of Mao Zedong, he studied at the Ecole Normale. A teacher, he became a journalist and editor of a literary magazine in Nanjing, the town where he lives. He was awarded twice the prestigious Lu Xun literary prize (named after the great writer of the 1930s) for his short stories, and those that were published in France are of very high quality. “Cotton candy on a rainy day” (translated by Isabelle Rabut, Actes Sud 2004) is a superb text. His closest friend tells us about the childhood of Hongdou, a sensitive child and a musician, the son of a hero of the Korean War turned alcoholic. In 1979, China invaded the North of Vietnam during a few months.The military intervention of Vietnam in Cambodia has indeed pushed Pol Pot, the friend of China, out of power.This military fiasco will be the end for Hongdou who had to join the army and could not bear it. A novel very dense against the madness of war and a plea for those who want to live outside marked trails. “The Moon Opera” (translated by C. Payen. P. Picquier 2003) is a beautiful novel about the Peking Opera and its decline, the importance of money in today’s society and its difficult relations with culture and art. The opera “Chang’e Flies to the Moon” is based on a classical legend and was performed by the very famous Mei Lanfang in 1915. This opera was later banned and was not among the eight “revolutionary operas” only on stage during the Cultural Revolution. The heroine of the novel, Xiao Yangqiu, is very successful in the role of Chang’e in 1979 ; nearly twenty years later, a former admirer, enriched, wants her to return on stage. Her age and her favorite student will turn this into a nightmare. “Three Sisters” (translated by C. Payen – P. Picquier 2004, and just released in English) is a collection of three short stories that were written separately. The story of Yumi and Yuxiu, takes place during the year 1971 and that of Yuyang at university, ten years later. The three sisters are doing everything to change the course of their destiny and, with determination, are trying to establish their control over their own bodies and the world around them. “The Shanghai Triad” (translated by C. Payen; P. Picquier, 2007) is a novel, or rather the scenario of a blockbuster movie, written with director Zhang Yimou. This text is based on “Shanghai Triad”, a book by Li Xiao, the son of the great novelist Pa Kin. Jewel, the mistress of a triad boss, tries to consolidate her power under the eyes of her servant, a teenager brought up by his uncle in the world of the Mafia. Jewel in the film, is played by the movie star Gong Li, a lot of talent put together for a somewhat disappointing result. ► La Plaine by Bi Feiyu – translated by Claude Payen –P. Picquier, 2009 – 475 pages, 21.50 euros. 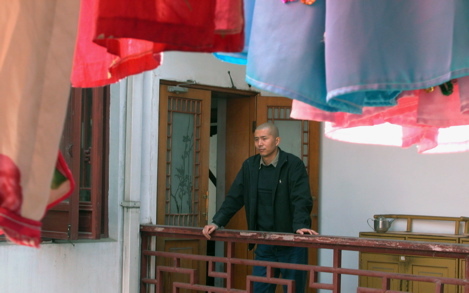 Photo: Bi Feiyu in Nanjing in 2004 (Pierre Haski/Rue89).